Ever heard of using smaller plates instead of big ones? If you can’t religiously measure every food item you’re gonna eat or feel like you’d go crazy if you actually do that, try the plate trick. You’d be surprised how a smaller plate full with food can make you feel just as satisfied as using bigger plate. But, don’t cheat on this trick and try to fit as much food as you can into the plate. That just defeats the purpose, just fill the plate as normal and choose what you feed your body well. When people try to shed pounds, the automatic action is to restrict certain foods in their diets. But this mindset only makes your body feel deprived which will only result to relapse in your diet in the long run. In fact, this same mentality is the reason why people tend to lose themselves during the weekend because they feel like they’ve been good during the weekends so it’s okay to have a cheat day or two. The weekend is almost 30 percent of your total week. If you follow your diet only 70 percent of the time, it's no wonder you aren't seeing the losses you're after. Maybe cut down your cheat meal into one meal per weekend instead of the whole two days. This way you get to relax a little without going off your diet too much. People, who stubbornly maintain the same diet or workout plan, even when it's clearly not working, end up with poorer results. Yes, consistency is important during a workout or in your diet, however, you should know how to listen to what your body is telling you. If you feel that you need more than your usual calorie intake for the intensity or frequency of your workouts then feed your body more. Evaluate and adjust accordingly as how your body shows improvements and how you feel. This is usually the main cause why people hit plateau when trying to gain muscle mass too. At first, yes, you have to follow a routine in order to get bigger muscles, however when you’re already near your goal you have to change things up. You have to work your muscles at different angles, volumes, and intensity because otherwise your body become too used to your current training that it stops growing because it is no longer challenged. Cardio is great, especially for weight loss because it burns fat. However, if your go to the gym and hop on cardio machine all the time you won’t build muscles which is actually what you need to burn more fat. Lifting can produce the most significant changes to your body. Not only does lifting help you burn fat overall, it also helps reshape your body. For beginners, it may seem like you need to spend every waking moment at the gym just to achieve your fitness goal. They go from barely exercising to doing 2 hours every day at the gym. This will most likely lead to burnout. It would be better to start out gradually and give your body rest days. For example if you never exercise, start with 2 days a week and then build up from there. If you want exercise to be part of your routine, remember it is a marathon not a sprint. Plan your gym schedule in a way that you’ll be able to sustain it in your day to day living, instead of treating it like a month or two challenges. You don’t want to get injured because of overuse or fatigue which leaves you with no choice but to put your workout on hold for treatment and recuperation. Although chiropractic care is an effective way to address these types of injury, it still would have been better to avoid injury at all cost. Remember that your body needs at least 2 days off in every 7 days of exercising to allow your body to heal, rebuild itself stronger and bigger. To tone up and get fit, workout and diet need to go hand in hand. But diet doesn’t mean eating as little as possible. Actually it means adapting healthier recipes for you breakfast, lunch and dinner plus consciously choosing better pre and post workout snack. It’s hard to get through a workout if your stomach is grumbling. However, it’s not a good idea to get a full on meal before heading to the gym either. Having said that, always keep in mind that it’s important to eat at least 2 hours before you work out to avoid unwanted protein loss and maintain glucose level. Just as eating at least 2 hours prior to exercising, munching on something after you sweat it out is crucial too! Of course you got tired and maybe felt a little hungry after an intense workout but be careful not to dig into the first food you see. A good recovery food should be a protein rich meal within half an hour of the workout. You need those carbs post-workout. Just remember that those calories count. You absolutely do want to refuel post-workout, just don't consume another 400 calories in the process. Don’t go overboard and stick with filling snacks that doesn’t come with too much calories. Okay, calm down, let me elaborate. Yes, working out is good for your overall health and an important aspect to fitness. 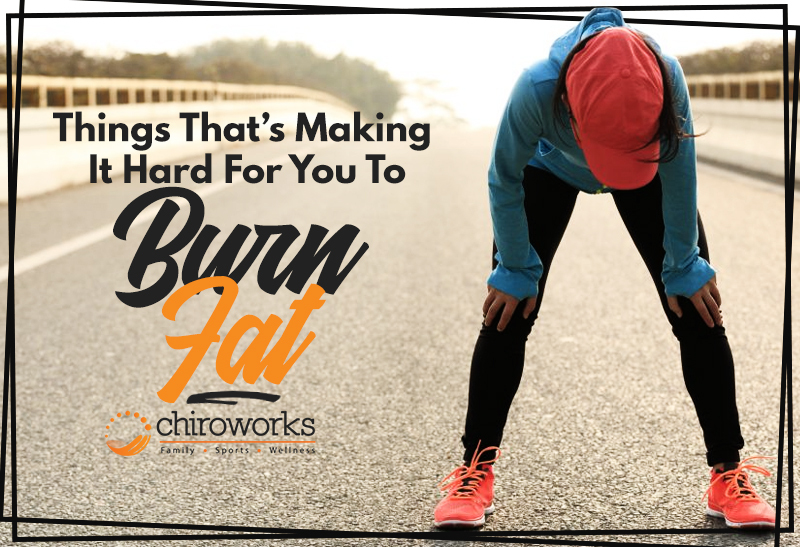 However, you cannot deny that after exercising you tend to be very hungry and tired so you eat more to compensate on that because you either feel like you’ve earned it or overestimate how much you’ve burned. There are some people who struggle to balance that, so instead of losing weight because they work out a lot, they end up gaining weight. It’s important that to be healthy, you must focus on getting fit not just becoming thin. So instead of constantly trying to depriving your body of foods, try focusing on providing necessary nutrients for your body. Aside from that, it’s also possible that the reason why you’re not losing weight is because you think that you only have to do one thing to make it happen which is go on a diet. What you may not realize is that losing weight and keeping that weight off relies on maintaining as healthy lifestyle. This is why chiropractic care aims to treat the body on a holistic level, meaning its goal is to not only provide immediate relief from issues such as back pain, but to help the body heal and manage itself from the inside out, so it's less likely to face other health issues such as weight gain. Chiropractors in Singapore now incorporate weight loss, nutrition, and exercise counseling into their treatments because losing weight won't just reduce back pain and other musculoskeletal symptoms, it will slash your risk of a number of medical conditions like diabetes and high blood pressure. So remember, it’s not just about the numbers you see on the scales so don’t just aim to be thin, you should instead work towards improving your overall health and you’ll see how everything just falls into place including your weight.